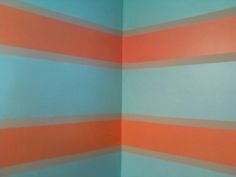 Fun stripes for this beach house powder room! 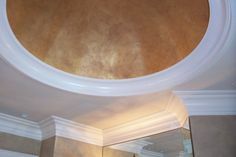 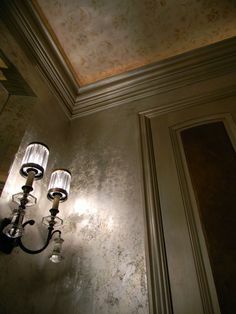 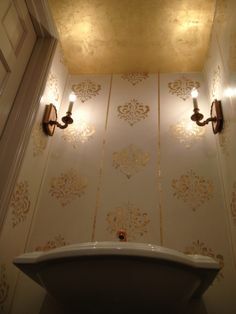 This powder room has a gold leaf ceiling, Venetian Plaster walls with a custom designed damask pattern done in gold leaf with pinstripes. 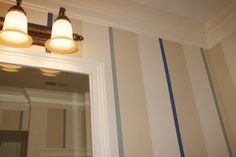 A beautiful addition to this historic home in downtown Charleston. 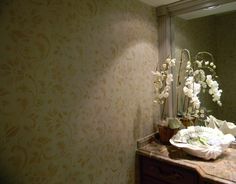 Textured Metallic Lusterstone with custom designed stencil. 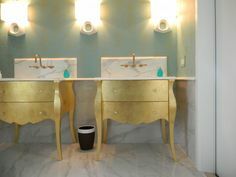 This was created for a patio pool bath. 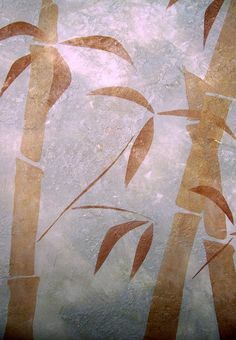 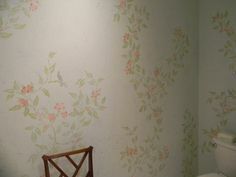 This pattern was created using custom designed stencils. 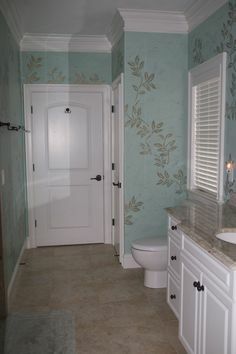 This design was created using custom designed stencils. 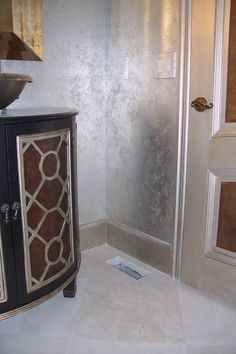 This little jewel box powder room has: Silver Leaf Walls, Layered Metallic Trim, Door and Vanity treated to coordinate creating a "distressed leather' effect. 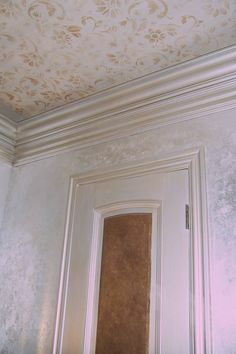 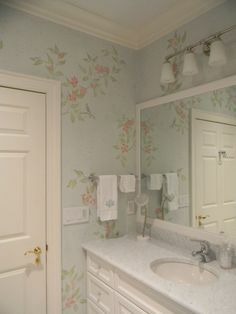 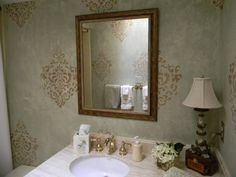 This little jewel box powder room has: Silver Leaf Walls, Layered Metallic Trim, Ceiling treated to emulate "slubbed silk" with custom pattern.